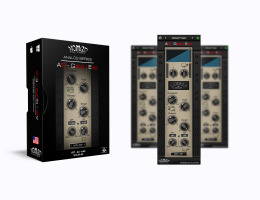 AS-Rack (Analog Studio Rack) brought you a "Modular Rack" that provides hot-swappable 500 series style EQ’s, Compressors, Gate, Exciter and a Tube Driven Pre-Amp; the perfect all-in-one channel strip! AS - Gate Expander, inspired by a classic (three letter acronymed) famous British console brings the control to your tracks! Slice and dice noise and low-end rumble, and expand your sound so it punches through the mix.